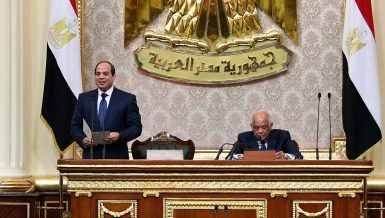 As controversy continues, the fate of the Personal Status Law remains yet undetermined, despite the presence of several suggestions and proposals for the law, which all were submitted to the Egyptian Parliament. 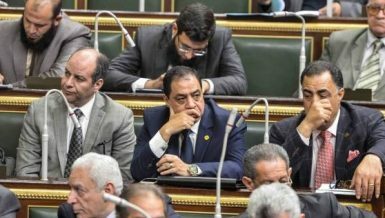 Egypt’s Parliament is currently working on a bill, submitted by MP Mohamed Fouad. 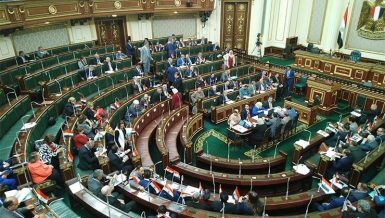 Starting from January, the Parliament has been providing the concerned authorities including Al-Azhar, the Coptic Church, the National Council for Women (NCW), and the National Council for Childhood and Motherhood (NCCM) a fixed period in order to provide their opinions and views, but none of the mentioned entities has sent any response yet, and rather submitted other bills. 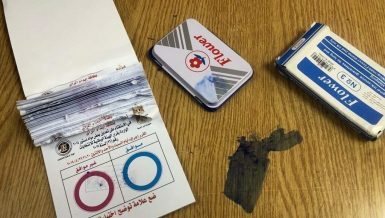 On 10 January, Ahmed Helmy al-Sherif, the deputy of the constitutional and legislative affairs committee, issued the law to the concerned parties and fixed January as a deadline, yet the concerned entities submitted other bills, and did not respond to the Parliament’s sent one, according to Fouad. He denounced the stance of the NCW and its absence from attending the community dialogue session, which was held to discuss the draft Personal Status Law. 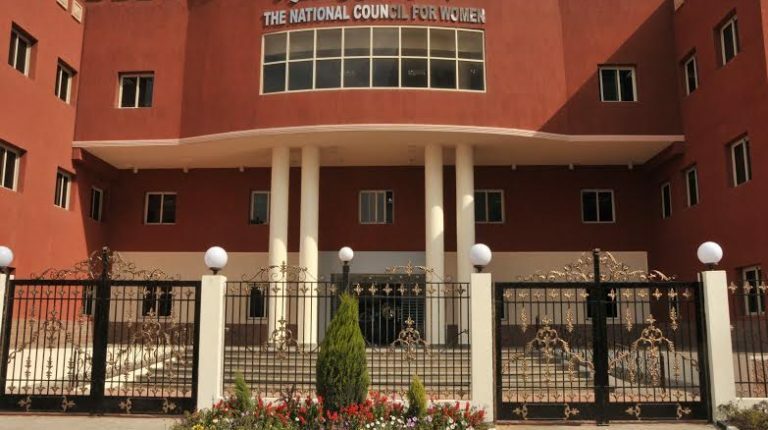 Fouad said that the NCW has announced, more than once, their preparation of a draft law on personal status, and about holding frequent meetings and community dialogues on it. Moreover, he stated that the NCW declared that it was submitted to the cabinet, in addition to publishing prominent features of the draft law, but so far did not announce its articles. He further commented that the NCW’s stance proves that there is not any draft law, and what they announced during the last period does not exist in reality, and only aims to hinder the discussions. The member refereed that are already five bills submitted to the NCW until now, stating that all of these laws are being reviewed by the parliament. A bill was submitted by MP Abla Al-Hawari, while another one was submitted by MP Hala Abu Saad, and a third one by Gamal Shuwaikh, as well as three other amendments submitted by MP Samir Rashad Abo Taleb. 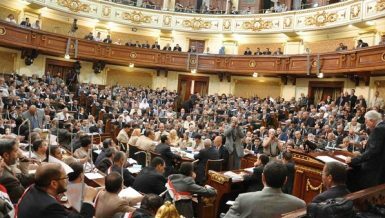 Hassan Sanad, a member of the legislative committee of the NCW, said that the bill which was submitted by the Parliament’s members was sent in February for an opinion, and the response is being prepared. On the other hand, Fouad said during a press statement that he rejects the NCW’s approaches in dealing with the MPs, and stressed that the NCW did not respond to the Parliament when it resorted to it as a consultant, and asserted that the Parliament will discuss the laws by the middle of this month, and will not include the NCW as they chose this path. Meanwhile, the NCW prepared their own draft law for the Personal Status Law, which culminates to the other proposed bills. Several MPs are demanding information on the NCW’s drafted law, which was sent to the cabinet last June in order to take the appropriate legal action and send it to the concerned authorities. As for the NCW, they stated that the preparation of this draft law comes in an attempt by the NCW to deal with the various problems which are present in the Personal Status Law. On the other hand, the NCCM supported the proposal of the NCW’s new bill, which aims at addressing the several issues in the Personal Status Law, and it takes the best interests of the children into account. Azza Ashmawy, the secretary general of the NCCM, said that we they cannot waive any of the gains which are granted to the Egyptian child, as stipulated by the Constitution and the law, or even the international conventions. She commented that Fouad’s proposed bill does not guarantee a fair protection for children. Furthermore, she added that there are three million children in parental custody— either by father or mother— after their separation, which is a ratio of about 3%, in comparison to the number of children in Egypt, stressing that the NCCM will not allow the exposure of any child to violence, or ill-treatment as a result of family disagreements. Al-Ashmawi commended the efforts of the Head of the NCW, Maya Morsi, on the issues of childhood and motherhood, stressing that the constant communication and cooperation between the two councils serves the interest of the Egyptian society. 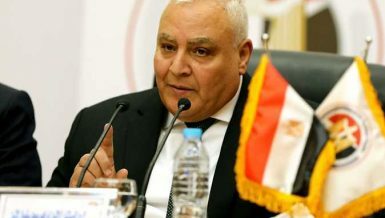 Regarding his proposed bill, Fouad said that his draft law is attempting to eliminate the suffering of some mothers when fathers abduct the children and escape, through establishing a specialised family police which will be responsible for implementing courts’ rulings. Moreover, the bill further stipulates harsh penalties for parents who kidnap their children, or who delay or extend the period of returning the child back to the other parent, after completing the agreed upon timeframe for hosting the child. Noteworthy, the previous acts are not criminalised by the current Penal Code, since they were always viewed as individual cases. He also added that his draft law guarantees the custodial mother the right to receive expenses for her children by determining a clear percentage of the father’s income, and by making sure that the father does not manipulate his income by submitting inaccurate documents to the court. Fouad also pointed out that he aims, through his draft, to end the dispute between the father and mother on the expenses after divorce. 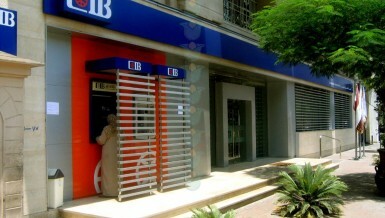 It is worth mentioning that in Egypt, several couples sometimes disagree and take their disputes to courts after divorce, when fathers reject paying for their children’s expenses, which result in enormous quantities of those types of cases in courts. Accordingly, the law will guarantee the non-custodial mother the right to host the child one day a week, and grants her a week in the summer holidays, as well as to divide the holidays between both parents. The law will also allow the family members of the non-custodial side, whether grandmothers or aunts, to see the child during the hosting periods, which is not stipulated in the current law, which limits it to the non-custodian parent only. Similarly, while the dispute between the NCW and the MPs is ongoing, Al-Azhar also worked on drafting a new law on personal status, and is currently preparing to send it to the House of Representatives. 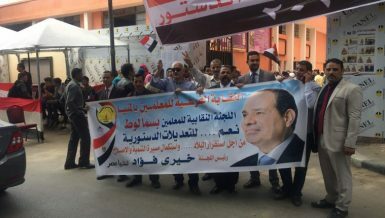 A number of MPs considered that Al-Azhar is exceeding its competence, and considered the move as a form of disregard to the MPs’ demand to provide the institution’s opinion on the proposed draft law. 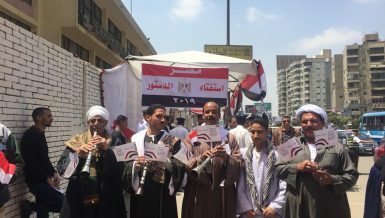 Regarding the draft of Al-Azhar, the committee responsible for the preparation of the draft said that it completed the law, to include 110 articles. The committee held around 30 meetings in order to reach a legal solution in accordance with the Sharia for the many arising marriage problems, as well as that of divorce and custody, which gives men and women the rights affirmed by Islam. The Parliament has the right to either reject it or agree to it, as stated by the members of the committee. Noteworthy, Al-Azhar formed a committee in October 2017 in order to prepare an integrated draft law on personal status issues, including the Grand Mufti; the former Al-Azhar deputy, Abbas Shoman; the former Grand Mufti, Nasr Farid Wasil, and several members from the Senior Scholars’ Council, and the Islamic Research Academy. MP Mohamed Abu Hamed objected the preparation of the Al-Azhar a draft law on personal status, stressing that Al-Azhar is body which gives opinion on religious matters, and that the Personal Status Law is mainly a civil one, and has few articles which are related to religion. 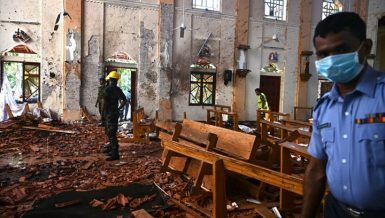 Accordingly, the Constitution of Al-Azhar stipulates that it should only be limited to giving opinion. Moreover, Abu Hamed pointed out that since April 2017, the Parliament has received six bills with bills relating to the Personal Status Law, which include a full bill submitted by Fouad and 59 other deputies, another full draft submitted by Abla Al-Hawari and 60 other deputies, and another one by Samir Rashad and 80 other deputies, as well as three bills submitted by some deputies’ amendments on a number of articles of the current Personal Status Law. 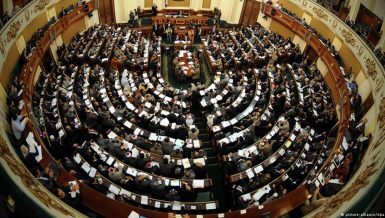 The member concluded that the Parliament’s legislative committee is not the one responsible for hindering the law, as it granted a long time for Al-Azhar and the NCW, nearly a year, stressing that the poll is not a mechanism of deterrence, especially if the concerned parties of the law are to express their opinion. The opinion, after all, is advisory and non-binding to the parliament.